Win big rewards up to VND 150 million! One of the world’s leading providers of furniture fittings and appliances, Häfele constantly seeks talented people to succeed and continue achievements made in more than 90 years of operation. 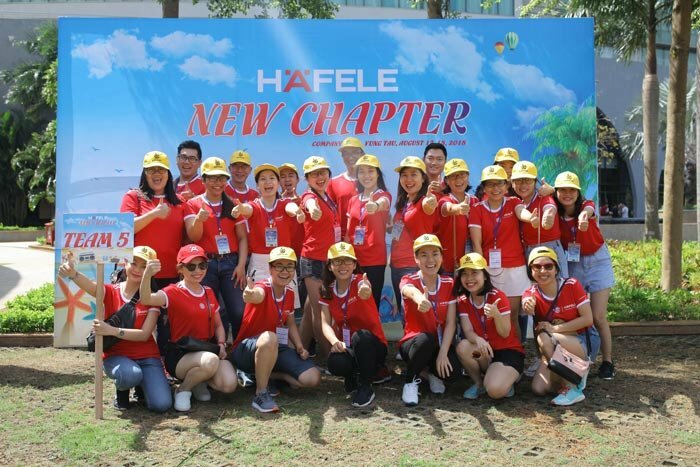 Personnel, in fact, are an important factor of Häfele culture and thus being continuously improved, especially in Vietnam, where the potential market has been bringing many opportunities to Häfele for growing strongly since the establishment in 1998. Join our search for talents who can empower Häfele’s efforts to innovate the living space of Vietnamese people and win attractive rewards up to VND 150 MILLION in return! Assistant Manager; Assistant to General Director; Supervisor; Team Leader. Step 1:Go to “ Careers” on the website of Häfele Vietnam for open positions. Step 2: Recommend your candidate by filling in the reference form with the candidate’s CV attached. Step 3: Receive your cash prize after the candidate passes (02) two-month probation. The referrer may refer multiple applicants for any job position at Häfele Vietnam and will receive rewards equivalent to the number of successful candidates. If the referred candidate terminates employment before the probation ends, the referrer will not be eligible for reward. The referrer will not refer Häfele Vietnam’s former employees who terminate their labor contracts within 12 months. The HR Department of Häfele Vietnam will send a confirmation email to the referrer within three (03) working days after receiving the candidate’s CV. The email will be sent to the referrer, on condition that the candidate’s CV is considered as eligible. The candidate’s CV is considered as eligible when (1) it is not in Häfele Vietnam’s data and (2) it matches the job’s requirements. If the referrer does not receive any email after three (03) working days, the candidate’s CV should be understood as ineligible and the referral is thereby invalid. Rewards: A successful candidate is a candidate who completes two (02) months of probation and signs a labor contract with a minimum term of one year with Häfele Vietnam. The person who introduces a successful candidate to Häfele Vietnam will receive a cash prize as aforementioned. Payment: Reward will be paid after the candidate successfully finishes the two-month probation. The payment will be made via bank transfer. Upon receiving the reward, the referrer is obliged to pay personal income tax (if any) in accordance with tax regulations. If you are an applicant, please send your CV to Häfele Vietnam’s HR Department at hr@hafele.com.vn. Your documents should be combined in one PDF document. Files in the following formats are permitted: pdf, jpg, png and doc. Please ensure that the total size of the files does not exceed 50 MB.